The city of Boston on Tuesday unveiled its transportation blueprint for the next decade-plus. One highlight of the comprehensive, 228-page plan, called Go Boston 2030 Vision and Action Plan, is its outline of 58 projects and policies the city hopes to implement, or at least advocate for. Proposals include: launching new ferry routes, protecting MBTA stations and roadways from rising seas, extending the Orange Line to Roslindale and the Green Line to Hyde Square, and creating a single chip card or mobile phone payment option to pay for a host of transportation services from the MBTA to Zipcar, Uber, Hubway, E-ZPass, and parking meters. Click the names of the projects and policies listed in the table below to see more details about each item, as worded in the city’s report. Description: City transportation contracts will require analysis of climate impacts — Future designs for Boston streets will include a two-part evaluation and analysis that looks at how climate change will affect the street based on its geography and other design characteristics, as well as how the design of the street could influence the effects of climate change on the surrounding neighborhood. A demonstrated understanding of how stormwater, heat, and coastal flooding could affect a roadway under future climatic conditions and of how the roadway could contribute to reducing the effects of climate change on the surrounding neighborhood will generate appropriate site-specific responses ranging from innovative design to regrading to bioswales to new pavement materials. Description: Incentivize more non-auto travel and infrastructure as part of new land developments — Development projects in Boston with more than 50,000 square feet of floor area are currently required to file a Transportation Access Plan Agreement (TAPA) with BTD. Initiating a mitigation fund from large developers that would be pooled to comprehensively improve sustainable transportation choices in a neighborhood, district, or corridor could support more substantive investments in employer-based demand management programs, transit related improvements, protected bike facilities, walkability improvements, etc., than any single developer can provide independently. A shared funding pool also helps remove the association of a single development with traffic impacts that have been created over time by many developments, fostering a shared investment in needed multimodal solutions. Description: Make walk-signals intuitive and give people walking a head start — Every trip begins and ends with at least a short walk. Our traffic signals and intersection designs will recognize the importance of supporting people on foot by shortening wait times at crossings and making signals adapt in real time to pedestrian behavior and flows. Automatic pedestrian phases–not requiring people to push a button–will be standard, as will countdown timers with audible indications for those with hearing impairment. Leading Pedestrian Intervals (LPI’s) will allow people to start crossing the street and be seen before cars are permitted to move or turn with a green light, reducing incidents of right-turning vehicles hitting or startling walkers. Walk signals will be shown on every intersection leg at any phase when there are not conflicts with oncoming cars. A “Don’t Walk” will only be shown when the traffic is about to be released, allowing more time for more people to cross safely. Description: Short- and long-term neighborhood public space projects — There are many potential improvements to the streets, sidewalks, and plazas across the City that will make them more welcoming to pedestrians, engaging for visitors, and inviting for people needing somewhere to wait. BTD, in conjunction with other City departments, hopes to activate and improve areas across the city with placemaking, public art, green infrastructure, and wayfinding. Building upon successful initiatives like those in Hyde Square in Jamaica Plain or at the Tontine Crescent in downtown Boston, pilot tests for plazas and streetscape improvements will happen annually. Guidelines for community members to follow for installing parklets, painting street murals, and prototyping with other tactical interventions citywide will also be forthcoming. Description: Set differentiated parking rates based on demand to improve availability at curbside — At the more than 8,000 metered parking spaces in the city, new technology is allowing BTD to set variable meter prices. A pilot program has begun in Back Bay and will begin in April 2017 in the Seaport. At peak times in busy commercial districts, higher parking prices encourage faster turnover and compete with nearby garage rates. Parking meters can continue to operate later into the evening or earlier in the morning and be installed in more neighborhoods at a lower price point that regulates parking without discouraging potential customers. The new ParkBoston app also allows drivers to add time to a meter that is about to expire and extend beyond the regular maximum time-limit. Description: Enchance Boston’s capacity to introduce programs that reduce driving — The City will expand upon best practices already in place through BTD’s Transportation Access Plan Agreement (TAPA) review process to mandate that all new employers, developers, institutions, and transportation operators participate in or create new programs and incentives to help meet Go Boston 2030’s mode shift and other targets. Working in collaboration with existing Transportation Management Associations (TMAs), the City will enforce existing commitments and annual monitoring requirements and promote solutions such as carshare fleets, guaranteed emergency rides home, on-site bikeshare, private mobility hubs, bicycle “pedal and park” park and rides, integrated multimodal mobile trip planners, universal transit access passes, and other essential employee and resident benefit programs that encourage people to travel without a private car. Description: Dynamic curb regulations that can adapt for greater transit or biking capacity when needed or convert to expanded sidewalk space off-peak — Roadways have different demands depending on the time of day and day of the week. Responding flexibly to their real use can allow for a single lane to efficiently serve different uses during peak and off-peak hours. Flexible lanes can become exclusive bus or bike lanes for part of the day or they can change direction for additional capacity depending on the primary direction of travel. Flexible lanes might provide space for evening or weekend expansion of sidewalk space with temporary cafes or parklets, or they can accommodate expanded loading zones during the week to discourage double-parking. With advances in technology, particularly the use of smartphone navigation and autonomous vehicles, more adaptive lane uses will be possible, and the flexibility to adjust for large scale events or detours will also be possible. Boston is already working with Streetparkd, to create the underlying electronic database of all curb regulations citywide. This databased, called BPARC (Boston Parking Atlas and Rules Census), will ultimately link to user apps and technologies that make it easier to find car parking, shared rides, bicycle parking, and more. Description: Ensure that each of the 30 bus routes with the highest ridership operate more effectively — In 2013 and 2014, the 15 bus routes in the MBTA system with the highest ridership were the focus of a project to consolidate stops and develop a schedule with more frequent service, “with buses arriving every 10 minutes or better during weekday peak periods, every 15 minutes or better during weekday midday, and every 20 minutes or better during off-peak periods.” Now, these bus routes, along with the next 15 busiest, will be the focus of further improvements including exclusive bus lanes where there is a segment of particularly high ridership and a high frequency of buses, offboard payment or another system that allows for all-door boarding, signal priority when buses run behind schedule, and better bus stops. Description: Conduct a public process and study to identify areas needing new or improved bus connections — Beginning with Focus40, the MBTA is taking a fresh multi-year look at its operations and routes and the possibility of expanded service. In collaboration with the MBTA, the City of Boston would work with the community to develop a new network of bus routes that better-match Bostonians’ travel needs, provide the most frequent service where there is the highest demand and ensure ADA compliance. 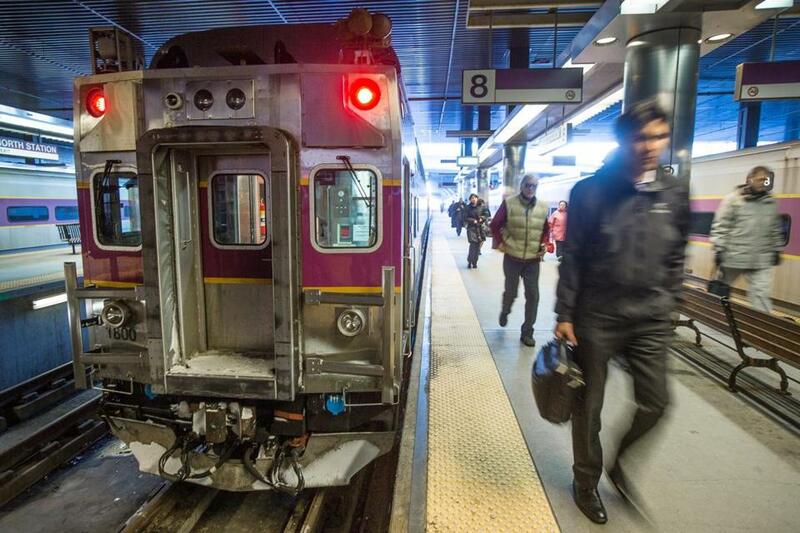 The MBTA will also consider a set of routes that would best serve the city overnight to provide 24-hour access to jobs, as laid out by the MBTA in its Fair Fare policy and Extended Service Hours policy. Description: Technology improvements to increase speed and reliability — A combination of several technology improvements will increase Green Line speed, reliability, and travel times. To improve safety in the most congested section between Kenmore and Government Center, a safety system will increase spacing, which will be compensated by going to three-car trains from today’s twocar trains to preserve or increase capacity. On surface sections of the B, C, and E branches, signal priority technologies will ensure that trains no longer need to wait at cross streets; station improvements will make each stop fully-accessible to anyone of any ability while allowing off-board payment and all-door boarding to reduce station delays; and continued stop consolidation will further reduce the number of delays on all three lines, thereby helping to make peak-hour signal progression work better. Description: Eliminate redundant service with responsive vehicle requests — An on-demand shuttle service would provide circulation between major rail stations and large employers in congested commercial districts. This would build upon similar efforts by the Boston Convention and Exhibition Center (BCEC), BTD, and Massport to improve access to the South Boston Waterfront, as well as the current system of MASCO and EZRide shuttles which connect North Station to the LMA and Kendall Square. Rather than running separate shuttles for individual buildings or employers, a consolidated fleet could run at higher frequencies with lower overall cost. A system designed to request vehicles electronically via the web and mobile devices could also allow for an ebb and flow of shuttles that is responsive to demand. While preserving preference for employees, allowing the public to use these shuttles for a nominal fare can better integrate this supplemental service into the existing transit system. Description: Payment technology to access all transportation services — Instead of paying for transportation services separately–with a Charlie Card, Commuter Rail ticket, bikeshare membership key, Zipcar membership card, ridehailing app, quarters or an app for parking meters, and an EZPass to pay tolls in your car–a Key to the City would enable transportation users in Boston to pay for a suite of transportation options through a single platform on either a chip card or with a mobile phone. While technology options are changing rapidly and many important legal agreements need to be worked out, these payment systems would enable easier transfers on multimodal trips and reward people who use a combination of transportation options with lower greenhouse gas emissions. It may also allow for price reductions for people traveling outside of commuter peaks to incentivize travelers who don’t contribute to congestion. Description: Coordination with the State to ensure access to transit for low-income residents, people with disabilities, and employees with off-hour shifts — Public transit is a public good and the City of Boston will continue to advocate for a fare structure that preserves access to high-quality transit for low-income and disabled populations. Working with MassDOT’s program to revamp its automated fare collection system (also known as AFC 2.0), the City and State will provide opportunities for more equitable fares and subsidy programs. Discussions with MassDOT are already underway regarding discounts for lower-income riders and re-instating late-night bus service, which could include 24-hour service. The City also will continue to explore ways to extend the hours of the trains and communicate service hours clearly to the public so they can reliably use transit as a late-night and early-morning option. Other early actions might include making free subway and bus transfers to and from the Fairmount Line and increasing the availability of student and youth pass discounts. Description: Preparing for self-driving cars — Boston is working with the Boston Consulting Group and the World Economic Forum on a year-long collaboration focused on creating policy recommendations and supporting on-street testing of autonomous (self-driving) vehicles. There is an initial focus on the testing of new technology, which will lead to the exploration of business models and urban infrastructure that improve safety, access, and sustainability. This policy development process is generating best practices to ensure that vehicles are shared, electric, and can improve mobility options for all residents, not just those who can afford the technology. Attention is also being paid to the potential implications of this technology on our workforce, land use, urban design, and transportation funding. Description: Rebalancing transit dollars to jointly fund new services in core communities — Boston will spearhead a new core transit district in collaboration with nearby communities to provide additional transit services that expand the MBTA’s capacity within the broader region. Building off of local shuttle successes, the district would focus on non-competing modes that may include shared transportation and technology providers that could extend the range of MBTA transit or alternative modes of travel such as mini-buses, streetcars, or urban rail on routes such as the Fairmount Indigo Line. Boston would complement this with a new transit streets initiative that focuses on speeding up buses and improving the passenger experience on city streets. Broader and creative revenue sources would help fund new services and improvements, and integrated fare payment and information technologies would make the services feel seamlessly integrated with the MBTA. Description: Improvements to neighborhood commercial districts for people traveling on foot and by bike — Walking- and bicycling-friendly Main Streets districts would focus on street and sidewalk investments that incentivize walking and biking to and through every local business district in the city. Signalized crossings would prioritize walking with responsive push-buttons or automatic pedestrian cycles, longer walk times that start before turning cars, and shorter crossing distances. Additions such as lighting, benches, and trees would also support people who chose to travel on foot, and all improvements would be made accessible to anyone of any physical ability. Bike-friendly features would include priority for better bike corridors as well as additional bike parking, bikeshare stations, and safer intersection designs. Way-finding signage, parklets, and simplified processes for closing streets to traffic on a temporary basis would also support people choosing to walk, bike, and take transit to our Main Streets. Description: Multiple prominent neighborhood access points to shared transit resources — Centered around T-stations, bus network nodes, and local destinations such as community centers and smallbusiness districts, Mobility microHUBs are designed to provide and identify a range of connected travel choices. Using clearly-branded kiosks or nodes with real-time interactive information displays about transit schedules and shared vehicle availability, people can connect quickly between bus and train service, a Hubway station, secure bike parking, carshare vehicles, ridehailing pick-up spots, and electric vehicle charging stations at every microHUB. Coupled with free Wi-Fi and intuitive wayfinding, these nodes become reliable ways to start, continue, or complete a multimodal journey. Placemaking strategies including plazas or parklets, sidewalk amenities, information signs, shelters, and works of art at each of these hubs will make them places that are worth stopping in when you have the time or if you have to wait. Description: Safety measures along Massachusetts Avenue and Codman Square; two additional corridors every year and multiple independant intersection improvements — Roadway design that prioritizes vulnerable road users on corridors with historic safety concerns will work to reduce traffic fatalities and severe injuries across Boston. The toolkit for improving safety at intersections may include shortening crossing distances, “daylighting” intersections to make pedestrians more visible, restricting turn movements on red, giving people more time to cross on walk signals, and allowing pedestrians to start across the street and be clearly seen before turning cars have a green light. Along the streets there will be a combination of protected bike lanes, speed radar signs, fresh pavement markings, and more commercial and short-term parking to prevent double-parked vehicles from stopping in dangerous places. Description: Traffic calming on residential streets — Through the Neighborhood Slow Streets program, residents can apply for traffic calming on a cluster of residential streets within their neighborhood. Selected districts will work with the City to implement a variety of designs to slow traffic across 10-12 blocks, including speed humps, curb extensions, small traffic circles, and wiggles in the roadway (called chicanes). When entering a Slow Streets area, signage and pavement markings will indicate to drivers that their behavior should change. Description: Rebuild streets with protected and low-stress bicycling facilities — New projects will aspire to make bicycling a safe, comfortable, and convenient choice for more of Boston’s residents and visitors. Better bike lanes go beyond traditional bike lanes, which are painted on the street between moving and parked cars. The city will pursue more priority routes with bike lanes that are separated from moving vehicles and on neighborhood streets that are retrofitted to slow traffic. Similar approaches are part of Boston’s Complete Streets Guidelines and Neighborhood Slow Streets efforts. Today, Boston residents can experience protected bike lanes on parts of Western Avenue in Allston; Commercial Street, Staniford Street, and Atlantic Ave in the North End and West End; and parts of Beacon Street and Massachusetts Avenue in the Bay Bay. Future better bike lanes are planned for additional corridors, including: Columbia Road Greenway, SW Corridor Extension to Back Bay and MGH, Melnea Cass Blvd, where protected bike lanes will connect the SW Corridor to Boston Medical Center. Description: Increase the number of bikes and stations to reach more Bostonians — Bikeshare is a newer type of public transportation, providing a reliable and low-cost option for getting around the city and adjacent region. Launched in 2011, the regional bikeshare system now has more than 1,600 bikes and 180 stations across Boston, Brookline, Cambridge, and Somerville. The system has grown so that docking stations are within a 5- to 10-minute walk of other stations; this allows people to find an alternative bike or dock if a station is full or empty, without significantly adding time to their trips. By the end of 2022, Boston aims to grow its part of the system 137 new stations, for a total of 268 stations in the city. The growth includes additional stations within the busiest areas of the system and broader access in all densely-populated neighborhoods. Description: Bus priority treatments from Forest Hills to Roslindale Square — Using a reserved transit lane on Washington Street and bus signal priority, all existing bus service between Roslindale and Forest Hills would be able to operate clear of traffic congestion, greatly increasing transit speed, capacity, and reliability. The transit lane could be reversible, and flexible curb regulations would preserve vehicle capacity in the peak direction. With these bus service improvements, existing services could serve more riders in Roslindale and in points further south. In the long term, this route could utilize abandoned rail tracks that extend to Hyde Park, potentially bringing rapid bus to even more underserved residents. Description: Make Dot Ave between Broadway and Andrew Square more multimodal — As outlined in the BPDA’s PLAN South Boston report, Dorchester Avenue will be redesigned as a street that serves as the retail anchor to the district as well as a key multimodal thoroughfare. Enhanced crosswalks accessible to those of all abilities as well as other safety and public realm improvements, protected or separated bike lanes, and queue jump lanes along with signal priority for buses will support active transportation and retail activity. Old Colony Avenue, Edge Street, and (new) Ellery Street will also be designed for multimodal use appropriate to the transportation needs and scale of the surrounding buildings. Description: Make the corridor between Forest Hills and Jackson Sq more multimodal — As outlined in the BPDA’s PLAN JP/ Rox report, Washington Street and Columbus Ave will gradually transition from auto-related businesses to a corridor of mixed-use multi-family buildings to better connect existing walkable clusters of businesses and homes. Pedestrian friendliness will be a key design feature along the corridor, with widened sidewalks and improved crossings. The design of Egleston Square in particular will focus on helping people navigate it safely on foot. Bicycle facilities, bike parking, and improved way-finding will support local trips and help people access the Southwest Corridor. Bus lanes, queue jump lanes, and operational improvements at bus stops will improve Columbus Ave and part of Washington Street for transit. Description: Enhancements to promote safe travel for those walking, on bikes, in buses, and driving cars — Implementing Boston’s Complete Streets Guidelines, the City will install enhancements along several neighborhood connectors that improve travel safety, accommodate people biking, and make walking more comfortable. These include East Boston’s longest connector, Bennington Street; Washington Street between Egleston and Dudley Squares; Humboldt Avenue in Roxbury; Cummins Highway connecting Roslindale and Mattapan; and Tremont Street in the South End. Description: A nine-mile walking and biking route that parallels the Fairmount Indigo Line — This multi-site urban greenway links the Fairmount stations, open space, and other developing neighborhood amenities with an on-street biking and walking route that loosely follows the Fairmount/ Indigo Line. The neighborways would include traffic calming, wider sidewalks, wayfinding signs and markings, improved intersection crossings with busy streets, and green infrastructure enhancements. In addition to the primary north-south route, there would be shorter loops for local trips that safely connect residents, commuters, shoppers, and visitors to transit stations; to new and existing open space, including parks, community gardens, schools; and to neighborhood business districts and historic sites. Description: Traffic lights talk to each other to facilitate movement in congested parts of the city — Building upon smart signal corridor approaches, in the South Boston Waterfront, Sullivan Square, the Bulfinch Triangle (just south of North Station), and Dudley Square, traffic signals would communicate with one another as vehicle traffic backs up onto short blocks when drivers wait to turn or as crossing walkers surge from trains or buses unloading nearby. Signals would then adjust their timing to alleviate temporary delays and avoid intermittent conflicts. District-wide, automated responses to traffic, bike, and walk flows would have traffic signals work together as a single network, and adjustments in one section would be sensitive to impacts in another. Description: Enhanced pedestrian and bicycle paths between greenways including Yawkey Station to Fenway, Roxbury to Fenway, and Arboretum to Roslindale — Boston Green Links is a city-wide plan to connect people in every neighborhood to Boston’s greenway network by installing new paths, new bike facilities, and safer road crossings. In particular, ongoing projects include the Roxbury to Fenway connector, that will link the Southwest Corridor Park and the Emerald Necklace for local residents and the South Bay Harbor Trail, which will connect Lower Roxbury and the South End to Boston Harbor. The plan has been developed in collaboration with multiple city departments, MassDOT, the state’s Department of Conservation and Recreation (DCR), the LandLine and Emerald Network initiatives, and community groups. Individual links will be implemented over time, through grants, partnerships, and Cityfunded projects. Description: Create a neighborhood friendly street connecting to Franklin and Moakley Parks — With over 100-feet between building faces, Columbia Road is one of the widest streets in Boston. The proposed greenway would preserve vehicle travel in both directions while consolidating the median, sidewalks, and wider areas into a context-sensitive linear park stretching from Franklin Park to Moakley Park. The allocation of roadway space will be determined in conjunction with local residents and will include improved pedestrian paths and crossings, protected bike paths, and significantly more trees to transform this former boulevard into a vibrant green corridor that is connected to the Blue Hill multiuse path to the south, the Fairmount Greenway, Dorchester Ave. Complete Street, and the Carson Beach bike path, creating a continuous protected bicycling network into Downtown. Description: Enhancing multimodal movement and safety in Brighton — The Boston Public Works Department is redesigning Commonwealth Avenue between Brighton Avenue (Packards Corner) and Warren/Kelton Streets. The redesigned corridor will feature separated bicycle facilities, improvements to sidewalks and crosswalks, enhanced access to the MBTA Green Line, preservation and enhancement of historic landscape features, and the implementation of innovative sustainable features. The centerpiece of the project will be the redesigned intersection of Commonwealth Avenue and Harvard Avenue, which will feature extensive safety improvements, as well as new outdoor public spaces. Description: Complete a fully-protected bike connection across the city — Building upon the planned reconstruction of Back Bay Station by MassDOT, the Southwest Corridor Park’s multiuse path will be connected beyond the Back Bay into Downtown on a route to be selected in conjunction with the local community. One possible route would travel along Columbus Ave, Arlington Street, and Charles Street to Cambridge Street as protected or separated bicycle lanes, utilizing excess lane capacity on each roadway. A connection to the Blackwell Path in the Arboretum will increase access to the corridor from the south. This cross-town downtown bike facility will complete an essential Boston offstreet corridor, allowing travelers from Jamaica Plain, Mission Hill, Roxbury, and Roslindale to make a continuous, safe bicycling connection to downtown jobs and destinations, including Mass General Hospital and the West End. Additional southern connections to the proposed Blue Hill Ave Greenway would allow the corridor to also serve Hyde Park and Mattapan, as well as Dedham and Milton. Description: Protected bicycle facilities through the South Boston Waterfront — The City of Boston will commence with the reconstruction of Summer Street in the spring of 2018. The reconstruction effort will pursue the highest level of protected bike lanes all the way from South Boston into Downtown. The initial phase of the reconstruction effort will start at Fort Point Channel and continue to West Service Road. The second phase will extend from West Service Road to the Wharf District and the Boston Convention and Exhibition Center (BCEC) and then on to the Reserve Channel. In the long term, protected bike lane facilities will extend along East First Street, providing a continuous protected bicycling network through Dorchester, Hyde Park, and Mattapan by linking with the Harborwalk, a resilient Morrissey Boulevard, the Columbia Road Greenway, and the Neponset Greenway. Description: Improve the convenience and quality at key Silver Line transfer points — These enhancements create terminus stations for the Washington Street Silver Line that facilitate transfers to the Orange, Red, and waterfront Silver Lines. In Downtown Crossing, the stop would be relocated to Washington Street and served by an enhanced shelter a few steps from the subway entrance while being complimented by new markings, lights, and signs to facilitate transfers by those unfamiliar with the system. At South Station, the stop would be relocated to the left side of Atlantic Avenue with an exclusive lane and new shelter on a boarding median, immediately adjacent to the Red and Silver Line headhouse at One Financial Center to facilitate quick transfers with complimentary signage. These enhanced connections are interim transfer improvements until a full underground connection between the Washington Street and waterfront Silver Lines can be constructed. Description: Expand capacity with new signals, new vehicles, and more frequent service — Beginning in 2019, and to be completed by 2022, the number of Orange Line train cars will increase from 120 to 152 with new larger vehicles, increasing the capacity and reliability of service while improving the customer experience. Combined with signal upgrades and an expanded maintenance facility at Wellington, the Orange Line will be capable of delivering four-minute headways during peak service and increase overall service capacity by 30%. This will reduce crowding and also allow for growth at underutilized sites along the corridor that are strong candidates for transit-oriented development. Meanwhile, new Red Line cars, as well as track and signal improvements along the Braintree branch, will enable trains to operate more smoothly, increasing capacity and reliability on the entire line. Description: Improving the customer experience and connections to the neighborhood — Along with new rapid bus service to Everett and new shuttles to the Wynn Casino, Sullivan Station amenities and access will be enhanced. Within the station, improved wayfinding, lighting, and waiting areas will increase rider comfort. Outside, bus berths will be reconfigured onto one level with improved operating efficiencies, and riders will have well-lit shelters, realtime information displays, comfortable benches, and other modern amenities. Rationalized bus and automobile circulation will be accompanied by an improved walking experience to and from the station along and across Broadway, Mystic Avenue, Cambridge Street, and Sullivan Square itself. Description: An enhanced multimodal corridor guarded against sea level rise — A multi-year reconstruction of Morrissey Boulevard will correct frequent street flooding and prepare the corridor for anticipated sea level rise and storm surges. While enhancing stormwater management infrastructure, the reconstruction will add new bicycle and pedestrian paths to enable safe travel without a car along its entire length. Description: Incentivize regional transit, car-pooling, and shared-rides by separating them from congested general freeway traffic — In coordination with MassDOT, existing and new HOV lanes would be converted to smart lanes that are open only to transit, shared rides, and carpools—restricted to permitted vehicles only through MassDOTs new overhead license-plate reading gantries. This electronic lane technology allows the existing Interstate 93 HOV lane to be extended north to Interstate 95, the gap on I-93 between Morrissey Boulevard and Widett Circle to be filled, and new HOV lanes to be added to I-90 and Route 1. In the future, vehicles equipped with autonomous or driverless technologies that allow closer spacing and automated speed control can greatly increase the capacity of these lanes. Description: Subway-like service to Roslindale — Much like the Red Line extension to Alewife in 1985, the Orange Line could be extended to Roslindale or further. Alternatively, subway-like service could be added to the Needham Line that already runs from Forest Hills T-station. By providing this new service, an entire neighborhood as well as one of Boston’s most successful Main Streets district will be connected by train to Forest Hills and beyond, enabling a single-seat subway-like ride where bus-to-train transfers were once needed. A parallel multiuse path will connect Roslindale Square to one of Boston’s premiere open spaces, the Arnold Arboretum. Extending the Orange Line would require land acquisition and consolidation followed by major capital investments in new rail lines and a new station at Roslindale Square. Improved and more frequent service is possible to West Roxbury and beyond along this corridor, whether by the Orange Line or subway-like service on the Needham Line. Description: Continue service on the E Line for a mile beyond Heath Street — The existing Green Line beyond Brigham Circle would be upgraded and extended beyond Heath Street to Hyde Square, creating an improved transit connection between the Longwood Medical Area and Jamaica Plain. The existing protected rail median on Huntington Avenue would be extended to South Huntington by moving onstreet parking to side streets converted to one-way pairs. In-street operations south of Huntington could continue, with the final alignment to serve Hyde Square determined through a separate process. Description: A consolidated LMA transit center to improve transit quality and safety — In the heart of the LMA within a five-minute walk of most of its institutions, a new transit center is envisioned on Longwood Avenue to serve the majority of MBTA routes that connect Boston residents to the LMA’s jobs and services. As proposed by MASCO, the hub will have modern passenger amenities, real-time arrival displays, new off-street loading bays, and amenities for pedestrians and bicyclists. Transit riders will have a safer and more comfortable experience. Future longterm expansion could include new enclosed public spaces and direct underground connections to an enhanced LMA to Kendall crosstown connection. Carshare, bikeshare, and shuttles in the surrounding area will provide additional transportation choices. Description: Phase Two: Bringing the benefits of subway service to a walkable Fairmount corridor — Expanding beyond current service improvements to the Fairmount Line, a new set of urban rail cars would be introduced, operating at higher speeds and 5 to 10 minute frequencies to create Boston’s sixth rapid transit line. Working in close partnership with a wide array of neighborhood interests, the line is envisioned to be extended both south to Dedham Corporate Park/Legacy Place along existing tracks and north past South Station into the Seaport and South Boston via the existing Silver Line tunnel and/or Track 61/Seaport Rail with a new tunnel below the congested South Station tracks to directly link with the Silver Line. Further station area improvements would bring a true urban subway environment and service quality to Dorchester, Mattapan, Hyde Park, and beyond. New transit centers at Readville or Widett Circle would allow riders to connect to the Providence Line commuter rail and inter-city Amtrak service. To make this project successful, a separate operating and financing entity other than the MBTA — such as a municipal transit district — may be necessary, given the MBTA’s already overburdened financial constraints. Approx. cost: $35 million for design and construction with vehicle costs to be determined. Description: Quality transit connecting the LMA with Roxbury, Dorchester, the Fairmount Indigo Line, and the Red Line — A single bus transit line utilizing signal priority and some exclusive lanes or queue-jump lanes will provide an essential crosstown transit connection from the JFK/UMass Red Line Station to Uphams Corner Indigo Line station, Dudley Square Silver Line station, Roxbury Crossing Orange Line station, and into the LMA. Likely following portions of MBTA Route 41 and operating on Columbia Road, Dudley Street, Malcom X Boulevard, Tremont Street, and Huntington Ave or St. Alphonsus Street, higherfrequency crosstown service would give a large residential population direct connections to commercial and employment centers along the line, with many more connected via transfers from the Red, Orange, and Fairmount Indigo Lines. A shorter term key bus route using existing transit equipment is possible between the Red Line stations and the LMA while final alignment planning for the rapid bus is being determined in conjunction with the surrounding neighborhoods of Fenway, Mission Hill, Roxbury and Dorchester in conjunction with employers. Description: Faster transit connections to the medical district from southern Boston — A new transit line with high-quality stops, signal priority, all-door boarding, and some exclusive lanes will create direct transit connections for residents of Mattapan and southwest Dorchester to jobs and medical care in Roxbury, Mission Hill, and the Longwood Medical and Academic Area. This involves a rail-like bus service operating where excess roadway width exists today on one of several potential corridors that will be determined in conjunction with the community. Service would be high capacity and high frequency and could interline with the JFK/UMass to LMA rapid bus corridor and even the West Station to LMA connection, connecting together southern Boston, the LMA, and Beacon Yards. Future upgrades could see tracks and streetcar service initiated as ridership grows. Description: Better rapid bus service and terminals on the Silver Line from downtown to Dudley — Today the Silver Line between Dudley and downtown along Washington Street has protected bus shelters and an exclusive red bus lane. In the next five years, the width of the lane will be increased, physical buffers and stronger enforcement will ensure that it is not used for double parking, an off-board payment system will allow for all-door boarding and prevent long passenger queues from delaying stops, automated signal priority will avoid red-light delays, and raised, accessible platforms will make it safer and easier for passengers of all abilities to board. An improved Dudley Station will be paired with improved termini at Downtown Crossing and South Station, where new in-street platforms will enable faster transfers to the Orange, Red, and waterfront Silver Lines. Description: Create a rapid bus system to serve a large underserved neighborhood — The speed and reliability of existing MBTA bus services connecting Oak Square and most of Brighton to Kenmore Square and the LMA will increase notably with the introduction of rapid bus treatments along Washington and Cambridge Streets. Synchronized signals with transit priority at intersections, curbside queue-jump lanes to bypass traffic, flexible peak-hour bus lanes, off-board payment, and other bus rapid transit (BRT) technology improvements would provide these neighborhoods with greater transit capacity. Stops will include improved amenities and be fully accessible to anyone of any ability. Description: Create new connections from Dorchester at Newmarket using Track 61 — The South Boston Waterfront contains a rail right-of-way running parallel to the South Boston Bypass Road/Massport Haul Road, which was used in the past for single track freight rail shipments from the rail system at Widett Circle out to the Marine Industrial Park. This line, known as Track 61, does not currently connect to Boston’s transit system. To bring essential new transit capacity into this growing district, urban rail running from Fairmount can use Track 61 for direct access from Dorchester. Alternatively, the Fairmount Line could use a new tunnel connecting to the Silver Line. This service could directly serve the Convention Center, a new station at D Street, and potentially a new Broadway or Dorchester Ave station in South Boston. Integrated into the ground floor of the planned South Boston Waterfront Transportation Center, direct connections between the Silver Line, commuter rail, and consolidated shuttles would make transit the primary mode of access to the Seaport. The line could also serve a future rail station at Widett Circle with appropriate rail or passenger connections. Concepts and designs would be developed in coordination with the community. Description: Lovejoy Wharf to Fan Pier and other new local ferry routes — MassDOT, through guidance by the Water Transportation Advisory Council, is partnering with Boston Harbor Now to develop a water transportation feasibility and business plan to look at passenger demand, locations for ferry terminals, and service routes around Boston’s Inner Harbor. 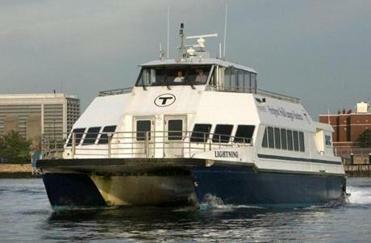 The Seaport Transportation Management Association and the Boston Convention and Exhibition Center (BCEC) are also partnering to develop a business plan for ferry service between Fan Pier in South Boston and Lovejoy Wharf at North Station to replace or augment land-based shuttle service. Recent and pending additions of water transportation terminals including at Fan Pier, Lovejoy Wharf, and Lewis Mall will offer direct connections between waterfront neighborhoods where direct access is limited or non-existent, including East Boston and North Station to the South Boston Waterfront. Other proposed connections include East Boston to Charlestown. Description: Incorporating improved services into a high-quality indoor station — Coupled with the improvement of existing Silver Line service and the addition of new crosstown service between the LMA and JFK/UMass Station, the existing Dudley Station would be upgraded to become a high-quality indoor facility to enhance the customer experience and minimize delays and aggravation on transfers between bus routes. Improvements would be developed in coordination with the community and riders through the Boston Planning and Development Agency’s (BPDA’s) ongoing Dudley PLAN process. The new station would likely feature modern passenger amenities, electronic real-time travel information, and new retail spaces in a well-integrated station that more efficiently processes buses and minimizes conflicts with boarding passengers. Description: Exclusive bus lane with priority signals and quick bus boarding along Mass Ave — A designated lane along Mass Ave would facilitate rapid travel for buses and other high occupancy vehicles including university shuttles and ondemand bus services such as Bridj. In addition to the exclusive lanes, which allow buses to avoid the congestion caused by cars, the stations would include all-door boarding, offboard fare collection, and improved waiting areas, which would support and promote transit ridership in this corridor and reward people who take the bus. Description: A protected, multiuse trail extending the Southwest Corridor to the Neponset Greenway — Several possible routes are being considered to continue Boston’s Southwest Corridor to the south in order to serve more residents and the region. One option is a safe and continuous connection from Forest Hills through Franklin Park to the Neponset River Greenway, Claire Saltonstall Bikeway, and the Blue Hills Reservation. Whether along Blue Hill Avenue or on American Legion and Cummins Highways, a multiuse path for people walking, running, and cycling—buffered from traffic and supplemented by trees and other green infrastructure—would extend a critical green route for the city, enhancing opportunities for recreation and active transportation. Of the routes proposed by the City’s GreenLinks plan, in coordination with LivableStreets Alliance’s Emerald Network and MAPC’s LandLine initiative, one or more will be constructed. Connections will be made to to other proposed multiuse paths including Columbia Road and the Fairmount Greenway Neighborways. Description: Direct bus service between northern commuter rail lines and the Seaport in tandem with ferry service — For commuters traveling through North Station and heading to the Seaport, transit and shuttle options will be consolidated and expedited by providing bus service in exclusive bus lanes running between Causeway Street and the South Boston Waterfront, as recommended in the South Boston Waterfront Sustainable Transportation Plan. For a direct connection from North Station’s Lovejoy Wharf to Fan Pier in the Seaport, a new ferry route is proposed. With bus service offering limited stops, all-door boarding, and separation from vehicle congestion, more commuters could opt to take transit to the Seaport. Stops near Post Office Square, Atlantic Avenue, D Street, and South Station, would serve dense areas in ways that would reduce crowding on other transit routes and provide new connections to job hubs. Description: Subway-like service paralleling the Mass Pike from Newton to South Station — The Worcester/Framingham Line currently provides service structured to accommodate suburban commutes into three Boston stations (Yawkey, Back Bay and South Station) that serve key employment districts. Trains arrive with 20 to 30 minute headways during peak commuting periods and less frequently during the middle of the day. This project would use advanced train scheduling technology to run smaller urban railcars in between the less-frequent commuter rail trains to provide subway-like service between several neighborhoods of Boston and Newton, including new connections at Boston Landing and West Station, in addition to the existing stations. With an expanded South Station, this kind of rapid turnaround becomes more reasonable. Alternately, service could be interlined with the Fairmount Line to connect to Newmarket and beyond. Description: Ensure that T stations are more resilient — Some T stations are already vulnerable to coastal flooding in the case of an extreme weather event, and with climate change, they will become increasingly vulnerable. These stations include JFK/UMass, Sullivan Square, and many Blue Line stations in East Boston. They can be made more resilient during a rain or flood event with on site redesign or barriers or be protected by other adaptations to the surrounding neighborhood, particularly at flood entry points. These adaptations may also contribute to neighborhood protection. Smaller scale protections may be necessary as well, such as conserving ADA access by protecting elevator pits. Protection can be done with permanent design changes or the procurement and installation of temporary structures. The Climate Ready Boston report highlights the vulnerability of and the possible adaptive infrastructure for each of these stations as well as for the Silver Line stations in the South Boston Waterfront, which are also vulnerable. Description: A new rail and bus station serving Brighton and the new Beacon Yards — As part of the necessary reconstruction of an aging I-90 viaduct that curves above an abandoned rail yard, MassDOT is designing a new station along the Framingham/Worcester commuter rail line that will include direct connections to local buses, proposed rapid bus connections to the LMA and Cambridge, and urban rail service to Newton. New walking routes into Allston near Boston University and to the evolving Beacon Yards district adjacent to Harvard will also serve the new station. The transit hub will improve connections between Boston and Cambridge and will bring regional travelers to the expanding districts nearby. A study is underway, as are preliminary designs for the future station. Description: Create a new set of rapid bus connections — Using existing rail and highway right-of-way, a new set of transit lines would connect via West Station from the Longwood Medical Area across the Charles River to both Kendall and Harvard Squares and their corresponding universities and Red Line stations. Further connections could potentially continue on to the Orange Line, North Point, or Alewife in the future. While the exact alignment and type of transit vehicles will be decided in conjunction with MassDOT and the community, the service would provide high-frequency limitedstop service between the Green Line near Kenmore Square, the urban rail along I-90, the MBTA’s Route 1 bus on Massachusetts Avenue, and the Red Line. These lines would connect many transit commuters with top regional employment centers without requiring travel into the core of Boston.